The Society for Cultural Anthropology (SCA) published some months ago a three-part podcast series on the intersection of ethnography and design. Using Google Clips as a case study, Lovejoy guides us through the core takeaways after three years of building the on-device models, industrial design, and user interface—including what it means in practice to take a human-centered approach to designing an AI-powered product. 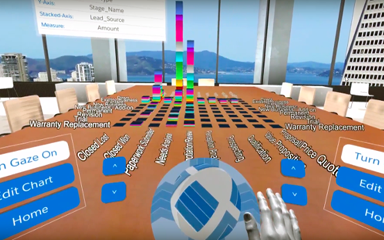 With augmented reality (AR) and virtual reality (VR) becoming the next computing platforms, app developers have been increasingly focused on building AR and VR apps. One of the companies that aim to be on the cutting edge of Analytics VR and AR app development is GREAT WAVE. By helping people understand and analyze data more quickly, such a tool could provide richer, more insightful experiences than the ones derived from paper and screens. Studies conducted by researchers at Stanford and by the neuroscience and analytics team of the AR developers META (in conjunction with Accenture) demonstrate how the use of 3D information could amplify people’s efficiency and ability to focus on tasks. An innovative and accessible guide to doing social research in the digital age.